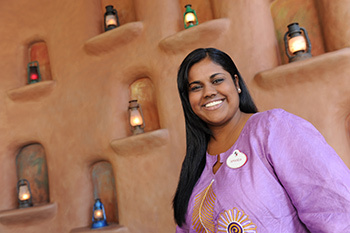 As part of the Cultural Representative Program, participants can gain leadership, business, and customer service knowledge from seasoned professionals at Walt Disney World® Resort. Living and working near Orlando, Florida is an amazing experience for participants to share their culture and customs. The Cultural Representative Program plays an important role in helping us create immersive experiences and transport guests to another place. To qualify for this program, you must be at least 18 years of age and authentically represent one of the countries or regions that we've recreated at our resorts, pavilions, and theme parks. Some roles (as indicated) may be part of a country Pavilion. We recruit friendly, outgoing, hospitality oriented people to represent their cultures, traditional, and history of the entire country. Participants have the chance to greet and interact with people from across the globe – all while sharing their own heritage. Participants will also contribute greatly to our overall guest experience across the Walt Disney World® Resort, including the Kidcot Fun Stop. In this Cultural Representative Program, participants can help welcome guests from South America and shape an exciting experience for international tour groups for 11 weeks. Participants also have the opportunity to share the Brazilian culture, customs, and heritage with people from all around the world. To be a successful candidate, you must be able to speak fluent Portuguese and interact with a diverse group of guests and cast members. This role can be located in our Theme Parks, Resort Hotels, or other entertainment areas. 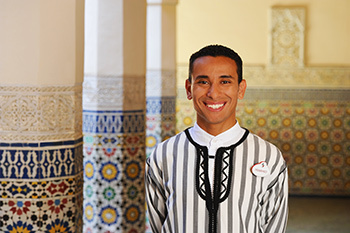 With a role as an International Parks & Resorts Greeter at Walt Disney World® Resort, you will be able to share your culture and heritage with guests and cast members from all over the world. International Parks & Resorts Greeters help international tour groups maximize their experience by educating, encouraging, and explaining all that Walt Disney World Resort has to offer. In this 12-month Cultural Representative Program, participants can join the Canada Pavilion in Epcot® to represent Canada's rich traditions and culture. Upon entering the Canada Pavilion, guests are transported to a scene from the western Canadian frontier. Totem poles, authentic examples of Northwestern Native American "family trees," are a natural component to the log-cabin construction of the merchandise shop, Northwest Mercantile. There is also a Circle-vision 360º movie "O Canada!" 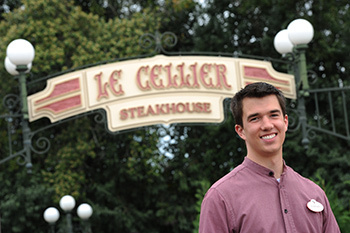 and Le Cellier Steakhouse, where guests sample aged beef from the Midwest and seafood from Northern waters. With a role in Attractions, you'll be in the center of the action as you help guests enjoy our world-class entertainment features. Whether you're managing a theatre show or monitoring guest flow and safety in one of our theme parks, you'll be a major part of the overall Disney experience. With more than 300 food and beverage locations throughout our parks and resorts at Walt Disney World Resort, Food & Beverage makes up an important part of our guests’ experiences. 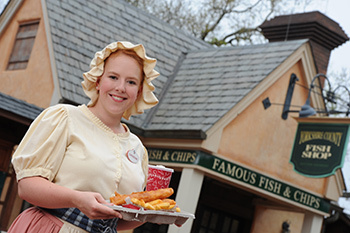 Food & Beverage cast members in these areas provide guests with memorable dining experiences from outdoor vending to counter service to signature restaurants. In a Merchandise role, you'll help demonstrate and sell Disney products to guests from across the globe – all as you expand your skills with a major player in the consumer products industry. Whether you're providing information, or stocking and cleaning shelves, your guest interactions will become an important part of the Walt Disney World® Resort experience. As a Cultural Representative in this 12-month program, participants can greet and interact with guests while sharing the wonders of China's amazing culture. Colorful sights and sounds greet guests as they are transported to the exquisite beauty, complextiy and serenity that is China. Within China, guests will find the Hall of Prayer for Good Harvests, a large market place of indoor shops, an art gallery, and the Lotus Blossom Café, a counter service restaurant, and the elegant Nine Dragons restaurant offering a diverse menu. Some roles may be part of the China Pavilion Exhibition Corporation, our independent operating participant. Here, participants can have the opportunity to represent their customs and heritage at a variety of restaurants and shops at the China Pavilion. In this 12-month Cultural Representative Program, participants can greet and interact with guests while sharing the wonders of France's rich culture. Entering the France Pavilion, guests cross over a footbridge and into the ambience of Paris between 1870 and 1910, an energetic period known as La Belle Époque, when a spectrum of styles formed the character of the city's boulevards and architecture. Guests will find a theater showcasing a whirlwind film tour of France, Impressions de France, fresh baked French pastries, and an elegant restaurant, Chefs de France. Some positions may also be part of Chefs de France of Orlando, Inc. or Rubio Arts, L.C., our independent operating participants. Here, you'll have the opportunity to represent your customs and heritage at a variety of restaurants and shops at the France Pavilion. In this 12-month Cultural Representative Program, participants can greet and interact with guests while sharing Germany's amazing culture. The moment guests enter the Germany Pavilion they view the majestic castle and rustic storefronts. 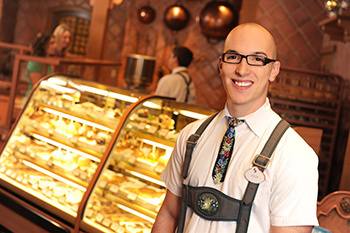 Outdoor carts selling warm pretzels and themed merchandise shops, all within a "village within a village", greet guests as well as the Biergarten Restaurant, representing Oktoberfest. Some roles may be part of the Arribas Brothers Company, Inc., our independent operating participant. Here, participants have the opportunity to represent their customs and heritage at a merchandise location at the Germany Pavilion that sells hand-blown glass and crystal products. In this 12-month Cultural Representative Program, participants can greet and interact with guests while sharing Italy's rich culture. Upon entering the Italy Pavilion, guests are transported to the heart of glorious Venice and find themselves in the shadow of the breath-taking campanile, or bell tower, a symbol of the romantic atmosphere and grace of one of Italy's most beloved cities. The Palace houses a boutique selling examples of outstanding Italian craftsmanship, Italian wines, as well as Via Napoli, which features authentic pizza from Napoli, and also, a delicious fine dining restaurant. Some roles may be part of the Patina Restaurant Group, our independent operating participant. Here, participants have the opportunity to represent your customs and heritage at one of the full-service restaurants, Tutto Italia Ristorante, Tutto Gusto, or Via Napoli. In this 12-month Cultural Representative Program, participants can greet and interact with guests while sharing Japan's amazing culture. The entrance to Japan is dominated by a giant red tori, proclaiming "Good Luck" to all who pass by, a feudal castle that houses a Japanese art and cultural center, as well as a pagoda with five stories representing earth, water, fire, wind, and sky rising 83 feet from the World Showcase Promenade. Guests will find a great Shishinden Hall, which houses the large Mitsukoshi department store, and on the second floor, dining adventures at Tepan Edo and Tokyo Dining restaurants. 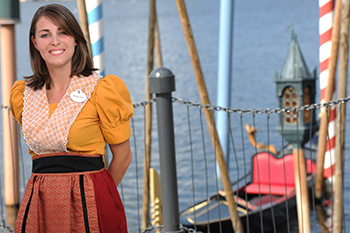 In this role, you'll work with the Kidcot Fun Stops that appear in every pavilion of the World Showcase at Epcot®. Here, you'll create an experience that enables children to connect with different cultures using interactive activities, as well as provide education about your unique heritage. Some roles may be part of Mitsukoshi, USA, Inc., our independent operating participant. Here, participants have the opportunity to represent your customs and heritage at a variety of restaurants and shops at the Japan Pavilion. In this 12-month Cultural Representative Program, participants can greet and interact with guests while sharing Mexico's rich culture. Approaching the Mexico Pavilion, guests see a reproduction of a Meso-American Indian temple from the third century A.D. that houses a festive marketplace at twilight, an attraction called 'Gran Fiesta Tour Starring The Three Caballeros' and the San Angel Inn Restaurante. Some roles may be part of the Arribas Brothers Company, Inc. or San Angel Inn, Inc., our independent operating participants. Here, participants have the opportunity to represent their customs and heritage at a variety of restaurants and shops at the Mexico Pavilion. In this 12-month Cultural Representative Program, participants can greet and interact with guests while sharing Morocco's amazing culture. Entering the Morocco Pavilion, guests step into a land steeped in tradition and rich in beauty. There are many shops featuring fine carpets, engraved brass, leather products, beautiful pottery, traditional Moroccan fashion, artwork, and Moroccan china. There are two dining locations, Tangerine Café and the Restaurant Marrakesh. Some roles may also be part of Marrakesh Moroccan Restaurant, Inc., our independent operating participant. Here, participants have the opportunity to represent their customs and heritage at a variety of restaurants and shops at the Morocco Pavilion. 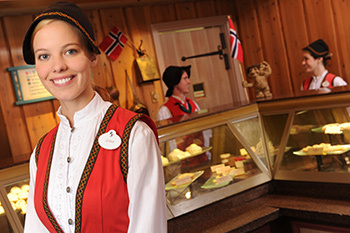 In this 12-month Cultural Representative Program, participants can join the Norway Pavilion in Epcot to represent Norway's rich tradition and culture. When entering the Norway Pavilion, guests are drawn through a picturesque town square toward the majesty of a Norwegian Castle. In the merchandise shops, The Puffins Roost and The Fjording, guests admire fine products of Norway. There is also a pastry shop, medieval banquet hall, Restaurant Akershus, and an unforgettable adventure where guests are whisked away for an on-the-water journey through Arendelle on the attraction, Frozen Ever After. In this 12-month Cultural Representative Program, participants can have the opportunity to represent Southeast Asia's rich tradition and culture at Disney's Animal Kingdom® Theme Park. Participants also have the chance to greet and interact with people from across the globe – all while sharing their own heritage. 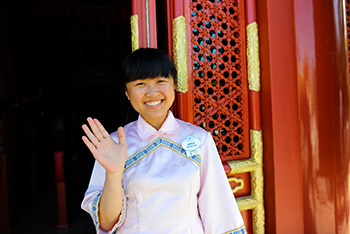 As an Asia Park Greeter Host or Hostess, you'll bring the wonders of your cultural heritage to life in a different part of the globe. As you interact with guests from around the world, you'll make a lasting impression and help shape an unforgettable experience at Disney's Animal Kingdom Theme Park. In this 12-month Cultural Representative Program, participants can have the opportunity to represent Sub Saharan Africa's vibrant tradition and culture. Joining either the Disney's Animal Kingdom® Theme Park or Disney's Animal Kingdom Lodge, participants have the chance to greet and interact with people from across the globe – all while sharing their own heritage. In this 12-month Cultural Representative Program, participants can greet and interact with guests while sharing the United Kingdom's amazing culture. The United Kingdom Pavilion captures the essence of the four countries of Britain: England, Scotland, Wales, and Northern Ireland. As guests enter the pavilion, they are greeted by outdoor carts selling refreshments, plus a variety of shops such as Twinings tea, Cadbury chocolates, fine china, sportswear from Wimbledon, and handcrafted products from Wales. Opposite the shopping street, the Yorkshire Country Fish Shop offers fish and chips, next door to the Rose and Crown Restaurant and Pub. Some roles may also be part of the Historical Research Center, Inc., our independent operating participant. Here, participants have the opportunity to represent their customs and heritage at the Heraldry/Merchandise shop at the United Kingdom Pavilion. 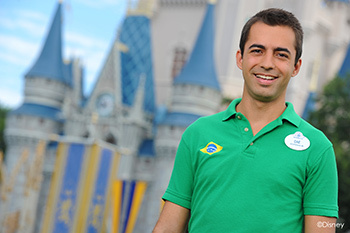 One of the most unique aspects of Disney International Programs is just how international they really are. 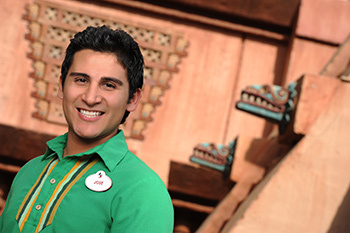 Every day, you'll have the experience of living and working with cast members from all over the world. Our complexes feature amenities like fitness centers, transportation systems, swimming pools and computer labs – providing an exciting setting for you to build relationships and create lifelong memories. Considering a career abroad or at sea? Explore these opportunities. With operations in more than 40 countries, we create entertainment experiences that are both universally and locally cherished. 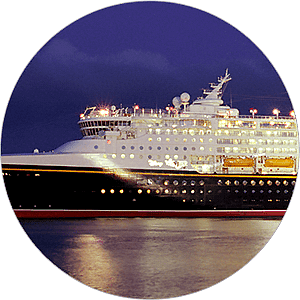 Set sail on the job opportunity of a lifetime aboard our extraordinary ships with Disney Cruise Line®.